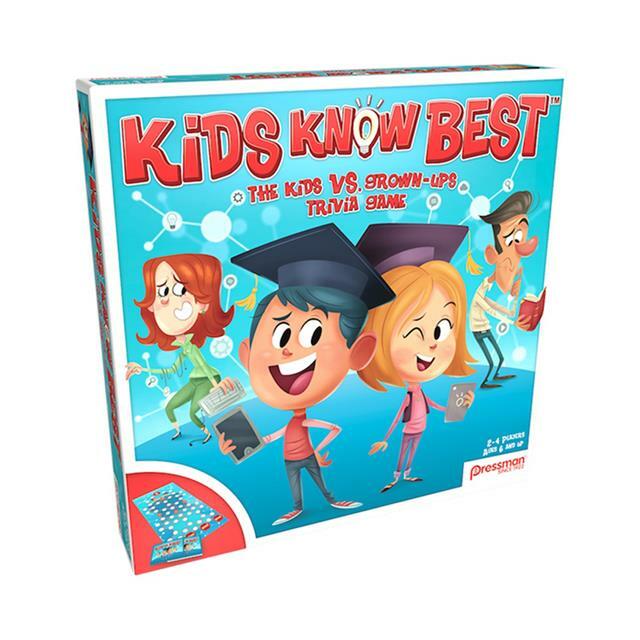 In this fun family trivia game, KIDS KNOW BEST, be the first person (or team) that has answered all the questions correctly and has their two pawns at the finish line first. Sounds easy – but beware of the special spaces that may help you forward more quickly or… set you back! For 2 to 4 players.